Herbert Chavez decided he wanted to be just like Superman when he was 5 years old. The 37-year-old man, from the Philippine, has then spent about 18 years of his life transforming himself to look like his childhood hero. 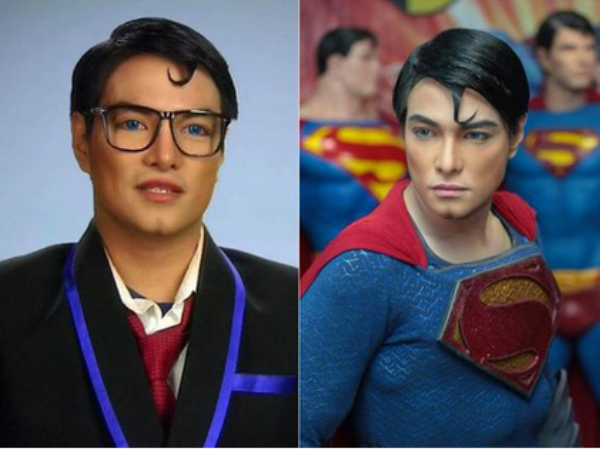 The super-fan has had nose jobs, skin-whitening, liposuction, jaw realignment, pec implants, bum implants and fillers to transform into the Man of Steel. “I like to show to the people, especially the children of the Philippines that I’m here. Superman is real,” Herbert said. So far, his surgeries have set him back over R80 000. However, his obsession is turning into his Kryptonite. In a bid to get the superhero’s famous abs, he started injecting himself with illegal substance called MesoLipo. As a result he has developed spots and bumps all over his body as revealed in his appearance in TV show Botched. This hasn’t deterred the fanatic though, requesting more surgery to define his abs. “This Superman needs to get into the gym,” said Dr Dubrow, refusing to perform surgery on Herbert. Despite this, he denies plastic surgery will be his downfall.